Better yet! Let’s scream for gelatos! BTW, HAPPY NATIONAL ICE CREAM DAY! Ice Cream Day is a great day to have freebies and more. 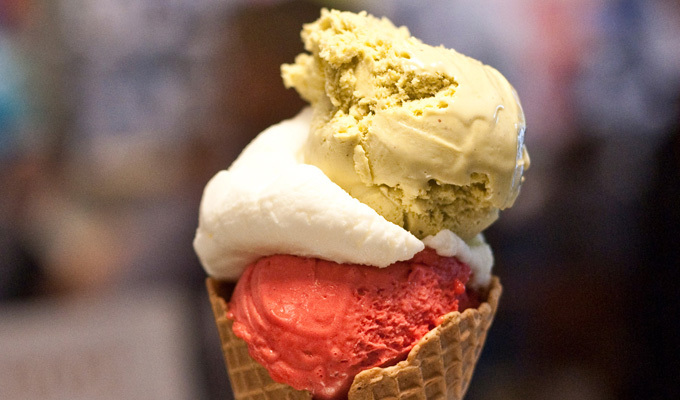 However, we all know that a gelato is a very great version with the ultimate creaminess. Ice cream is wonderful but a gelato is a different story. It’s exciting news to get your own for free today. Get your family together and head out for a wonderful treat! Most people love to spend a day like this at the park. They would by all the treats for their family as they go enjoy the sun. It’s always fun to be in the heat letting the sun kiss your skin, but what about the instinct of needing a cool treat. You can get it for free and a free gelato is the perfect compliment to family time. Moreover, love and family calls for a great commune. Check out below! Today you can get a free gelato on the patio of Davio’s Northern Italian Steakhouse, Phipps Plaza, 3500 Peachtree Road NE Atlanta. With two scoops, how can you miss out on such a wonderful deal? Gelatos seem to have the perfect creaminess that melts in your mouth and in your hands if its hot enough. So, do what you know best! I could not resist commenting. Adequately written! Excellent way of describing, and pleasant post to get data regarding my presentation topic, which i am going to present in school. And naturally, thanks a lot with your effort! good, all be able to easily understand it, Thanks a good deal. There exists certainly a great deal to learn about this topic.